Volterra, an ancient Etruscan municipality, resides high on a hill in Tuscany and is distinctive for its original city gate, which was built with massive volcanic stones in the 4th century BC. Do you have a son or daughter who likes to read vampire fiction? Do you have a fascination with the supernatural or are you intrigued by sinister tales of mystery and betrayal? 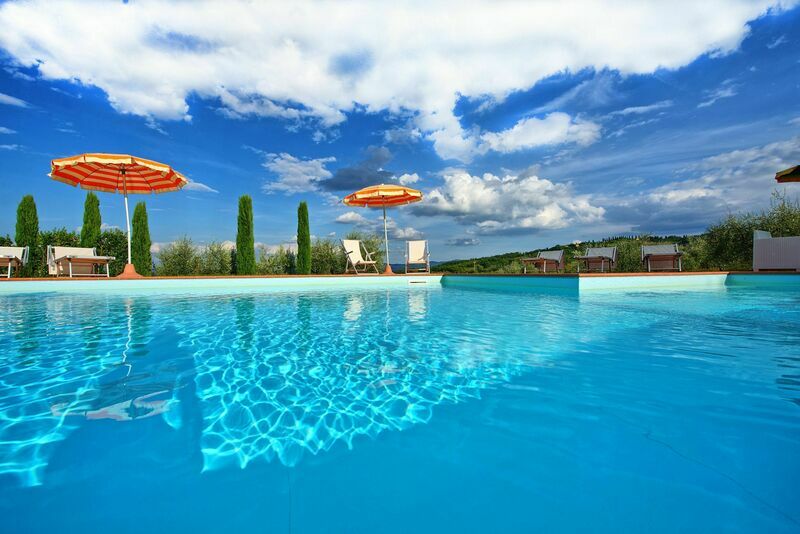 Renting a Volterra villa will satisfy your artistic, gastronomic, and historical passions, and it will undoubtedly quench your thirst for fantastical narrative lore. Volterra is an important location in the bestselling novel New Moon, a tale of vampire love and loss by Stephanie Meyer. While your teenagers will be "dying" to visit the timeless locations made famous by this book series, you may be more shocked by the city's mention in Thomas Harris's novel Hannibal. Let your imagination run wild in the streets of Volterra, and make sure to escape back to your Volterra villa before the vampires and spooks come out! While Volterra is enjoying a dark cultural rejuvenation today, it has long been renowned for its fascination with death and magic. Have a bit of fun and visit the Etruscan funeral urns dating back to Archaic periods at the Guarnacci Etruscan Museum, while envisioning the generations of people who have walked this cobblestones just like you are today. Don't let your energy get "sucked" out of you as you admire the sculptures in the Cathedral of Santa Maria Assunta, and be sure to treat yourself to a cocktail in the Piazza dei Priori, which is thought to be one of Italy's most beautiful squares. With a Volterra villa, you are living a part of history that still holds many unsolved mysteries. If you piece them together, you just may get inspired to write a novel of your own! We like to make the process of renting a Volterra villa as simple as possible. You can select a property yourself and request a hold, or consult with our specialists. Search for a Volterra villa rental - Start with our convenient search screen and look by availability dates and preferences. When you see properties you like, send us an inquiry or reservation request. Want to consult a Volterra travel advisor?